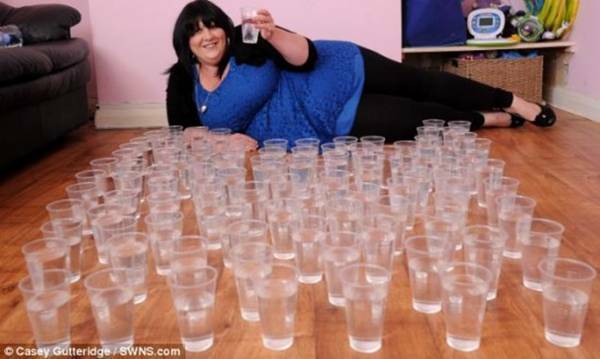 A YOUNG mum has spoken of her bizarre addiction to drinking WATER - guzzling up to 25 LITRES per day. Thirsty Sasha Kennedy, 26, downs almost SIX GALLONS of water during a 24-hour period - taking large bottles around with her wherever she goes. She is forced to go to the toilet up to 40 TIMES A DAY and claims she has even QUIT jobs over the lack of quality water. 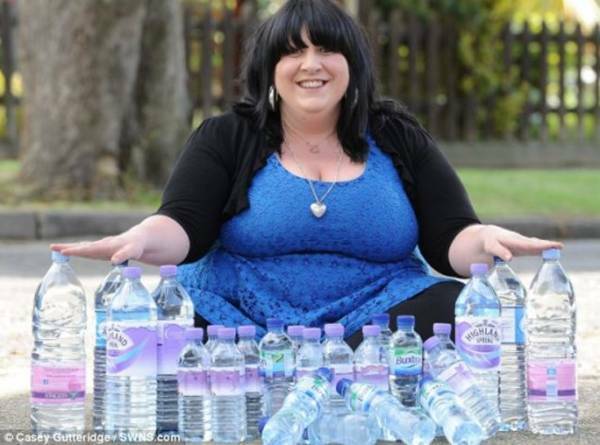 The mother-of-two - who claims she has no health problems - even wakes up several times a night to sip water and go to the toilet. Sasha said: “If I feel my mouth start to get dry I have to get my next fix of water - it’s all I can focus on.